Mantova, 28th of May 2016, Nena News – Hebron’s children childhood has been stolen. The monster that has torn their innocence forever has the aspect of the heavily armed Israeli soldiers and the features of the settlers living in the heart of the city who, thanks to the impunity they enjoy, are allowed to commit every kind of violence and harassment against local Arab population. This is the very disquieting picture of the situation coming to light from the interview with Abed Salaymeh, “Open the Zone” campaign spokesperson and Shuhada Street (the main road of Hebron closed since 2000) resident. The “Open the Zone” campaign, that aims to inform public opinion about the condition of Palestinian families forced to live in the “Closed Military Zone”, has been promoted by International Solidarity Movement and Youth Against Settlements. The organizers haven’t resigned themselves to the abuse of power logic and have proposed a children’s play useful to give the kids hope, smile and a real life shade back, in order to turn a weak light on in the dark insanity of a city where young people have stopped dreaming. What is the goal of the “Open The Zone” campaign? The campaign aims to raise awareness and bring more attention to the families that are forced to live under closure in the ‘closed military zone’ (CMZ) on Shuhada Street and in the Tel Rumeida neighborhood of Hebron, on both the international and local level. 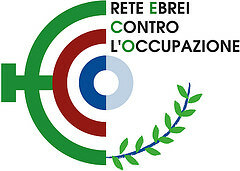 The Palestinian residents have been struggling in their everyday life to lead a decent live, but since the declaration of the CMZ have been dehumanized and degraded to mere numbers (every Palestinian resident was assigned a number by the Israeli forces that identifies Palestinians registered as residents within the CMZ) and struggle to reach their homes. Who is Zleikha Mohtaseb and what is her role in this project? Zleikha Mohtaseb is one of the Shuhada Street residents. In her role as a teacher and due to her extensive and valuable experience working with (traumatized) children, she is an assistant in the campaign, helping out in organizing activities with children. Can you describe the children’s game you organized in cooperation with Zleikha Mohtaseb? The game was organized by Zleikha, in order to offer the children living in the CMZ a relief from the constant tension of living in the CMZ and give them a possibility to breathe and to just be children. 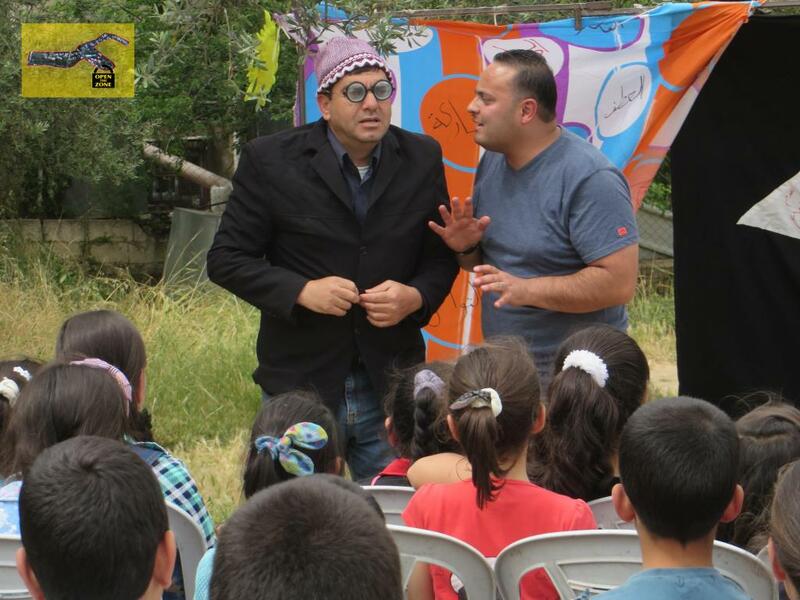 The play gave them the opportunity to be distracted from constantly seeing heavily armed Israeli soldiers, and instead watching the play with people dressed funny, in order to make them laugh. The game was deliberately staged right outside the arbitrary borders of the CMZ, the borders of which have deliberately been extended to include the Youth Against Settlements center. Thus, the game was still within the children’s neighborhood, but right outside the CMZ as otherwise the actors would not have been allowed to attend the play. The human right to play, for the children living inside the CMZ, is mainly denied through the mere existence of the CMZ. The play, called “Matchsticks,” tells the story about a boy mistreated by his parents, deprived of his right to equality and security, which served as an allegory for growing up under occupation. Why is this play useful for children? The game mainly focused on the comedian features of it, in order to give children the chance to be just children. As within the CMZ, no events for children can be held and possibility for children to play is extremely limited, practically all children from this area attended the play. Since that majority of children were very young (between 3 and 6 years old), they understood mainly the comedian part of the play, bringing joy and laughter to the otherwise dull and scary daily life including the obligation of having to pass checkpoints. 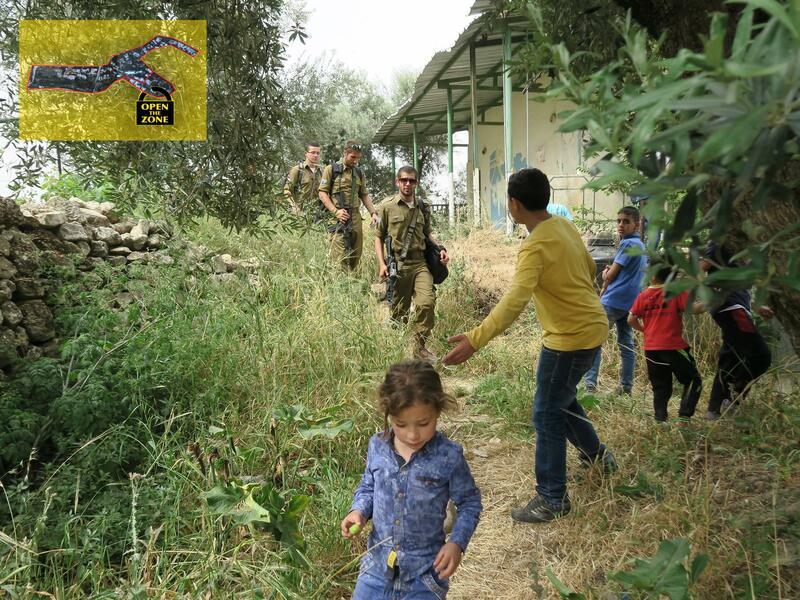 The main point of the play was to give the children a possibility to enjoy their childhood but in the Israeli occupied and controlled parts of Hebron in general, and the CMZ in specific, live can unfortunately not be separated from occupation. Which are the problems of children growing up under occupation? Children growing up under occupation suffer from a wide range of problems. Firstly, living under this military occupation, kids are directly affected by seeing heavily armed Israeli soldiers everywhere. Also Palestinian children are forced to learn from a very young age that Israeli soldiers and Israeli settlers enjoy complete impunity for everything they’re doing, thus directly illustrating to them that they are different from these soldiers and settlers on a everyday basis. So, Palestinian children grow up in an environment that teaches them that they are ‘different’, they are ‘numbers’. The effect this kind of humiliation and dehumanization has on children is a question better to ask to professionals. The play is the initial event opening the Open the Zone campaign, organized by Youth Against Settlements and the International Solidarity Movement. As the campaign aims to raise awareness, a major part of it is (social) media work. There are daily reports or personal accounts as well as videostatements published both on the ISM webpage and Facebook, as well as the YAS Facebook>>. In the past days, Salaymeh states, there have been in the net twitterstorms and thunderclap campaigns. 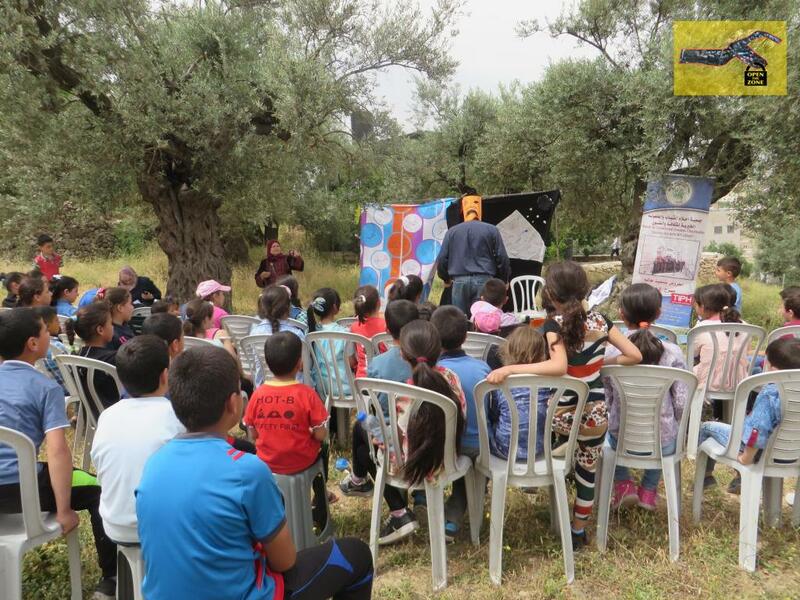 Furthermore, a children’s event for the children has been held in the Old City. Marking 200 days of Cmz and thus 200 days of collective punishment, activists have organized a sit-in tent outside Shuhada checkpoint. <<The campaign – Abed declares – will continue as long as the CMZ order is upheld or extended. Can you describe the current situation in Hebron? Hebron is unique among other Palestinian cities, as the illegal settlements are in the heart of the city. The occupation is implementing a policy to attempt to evacuate Palestinian residents from this area. The policy of declaring a CMZ on a Palestinian population is not something new, but has been implemented before in 2000 and 2008 with the aim to evacuate Palestinian residents from these areas, and was successful. That’s why on Shuhada Street and in Tel Rumeida about 1000 houses are empty. Why is Shuhada Street, an important commercial and social street, closed since 2000? 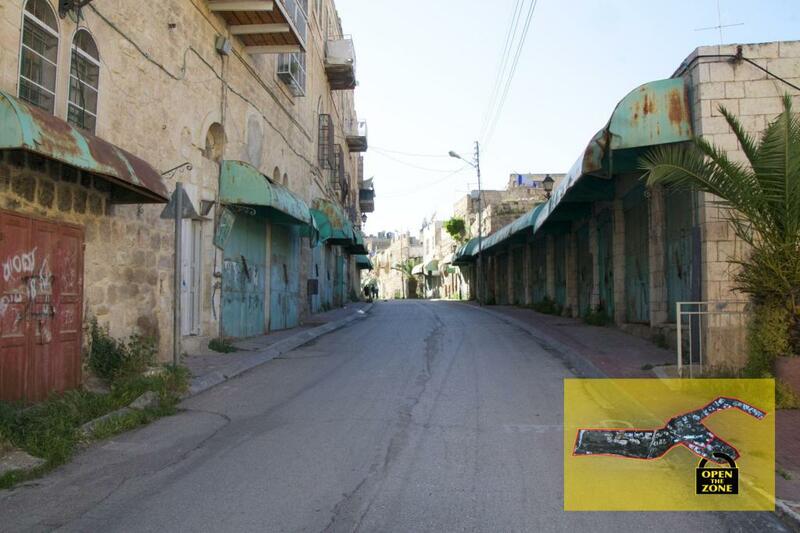 <<Shuhada Street used to be the main street and thoroughfare in Hebron city. It connects the north of the city with the south and goes right through the Old City towards the Ibrahimi mosque. The street used to be the main market, full of commercial shops on the ground floor and houses on the upper floors. The colonial plan of the Israeli government is to empty this street in order to connect the four settlements that are located there, right in the heart of the city, making it a settlers only street. This is currently the case with the majority of Shuhada Street only allowed for settlers and Palestinians entirely banned from it. 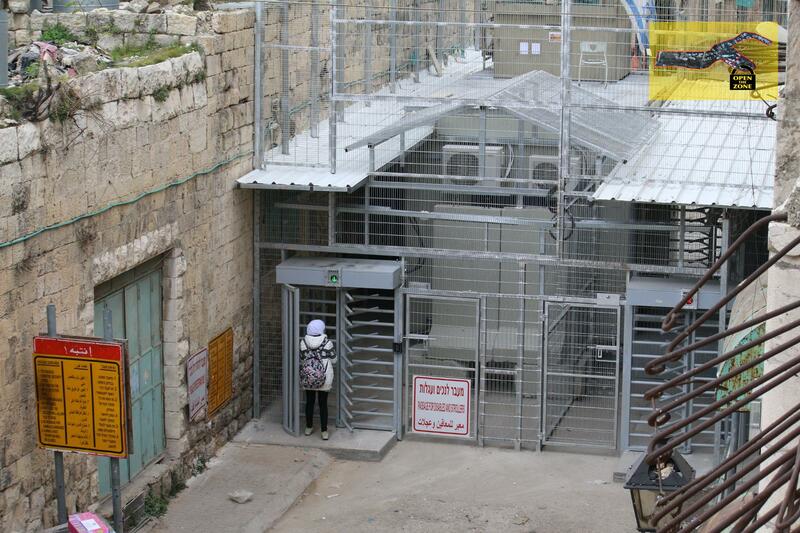 What is the condition of Palestinians living in Hebron and in Tel Rumeida? Palestinians living in H2 generally are not having their very basic rights, for example, they are not allowed to open their shops, especially in Tel Rumeida and Shuhada Street. They are not allowed to drive cars there this includes ambulances, that are barred from accessing this area. This in many cases has already led to death due to denial of medical assistance, and women giving birth at checkpoints as they were denied to pass. Palestinians living in this area are not having any kind of protection, as the Palestinian police is not allowed to function in this area, and the Israeli forces will not provide any sort of protection from settlers’ or soldiers’ violence and harassment.